Wire wrapping is one of the oldest techniques for making jewelry by hand. 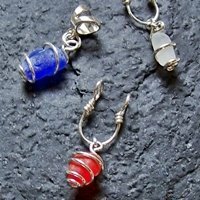 In wire wrapping, jewelry is made using jewelry wire and findings similar to wire (like head-pins) to make components. 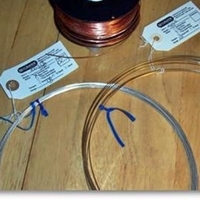 Wire components are then connected to one another using mechanical techniques with no soldering or heating of the wire. 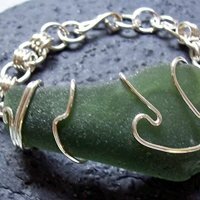 Why Wire Wrap Sea Glass? 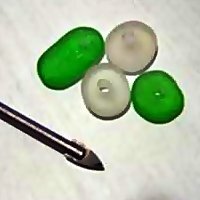 In terms of jewelry, many have found that wire wrapping their sea glass is one of the best methods of showing sea glass or beach glass to an advantage. Why? Because the naturally frosted surface lying over the glass interior acts in a pleasing way when light is shining through the glass. This is different than a faceted gem such as a diamond, where the light is reflected from its facets and does not need pass through the body of the gem itself. 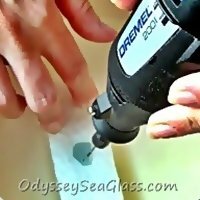 To look its best, sea glass ideally should have the back, sides, and front of the glass expose as much as possible to let light shine through the sea glass. Another advantage is that, since sea glass or beach glass is something that anyone can find (you don't need expensive mining equipment, etc. ), you and I can collect it easily. 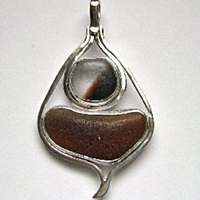 Yet is sometimes very striking and is very suitable for excellent jewelry. 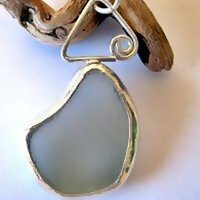 Many people have collected sea or beach glass over time and start wanting to use is for jewelry. Includes 6 free intro videos very descriptive. 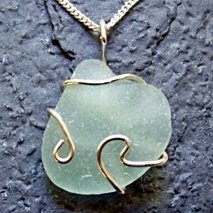 To wire wrap the sea glass is about the easiest way to make a nice piece of wearable art...and to wire wrap your sea glass requires less of an outlay in tools than most other methods of making jewelry.